When you see people dusting off their caravans, you know that the cooler Aussie weather has finally arrived! Now is the time to stock up on all the essential 4WD accessories you will need on the road, such as recovery gear and a winch, as well as the latest caravan accessories, for example, solar power, instant gas hot water systems and a rapid tyre inflator. For caravan newbies however, stocking up on 4×4 accessories isn’t the problem, their problem is knowing whether they even want to buy a caravan in the first place! 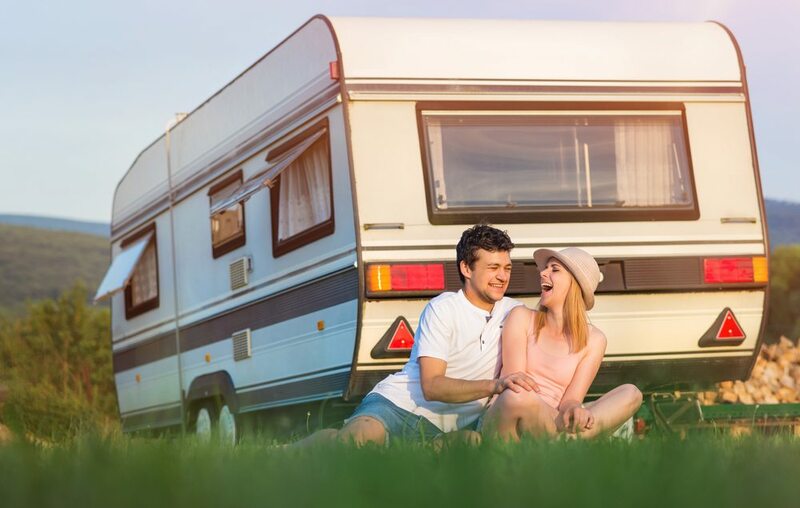 So if you have the travel itch and are not sure whether a caravan is a good idea for your family, let’s take a look at the pros and cons of travelling with a caravan. If we compare a caravan with for example, a camper trailer, the caravan comes out on top as far as setting up and packing up is concerned. With a caravan, you just have to park it and level it, hook up the power, water and gas and you are good to go! In comparison, a camper trailer can easily take up to 90 minutes for two people to set up. You also have tons more storage space in a caravan, and plenty of awesome caravan accessories, such as a real fridge, TV and air-conditioning, as well as real bedrooms, a lockable door, real windows with curtains or blinds, and walls to keep the critters out. With a camper trailer you have none of these benefits. One of the biggest cons of travelling with a caravan is that it costs much more to buy than a camper trailer and you have to tow a much larger vehicle. The bigger the caravan, the more likely it is that you will need to upgrade your existing vehicle so that it can safely tow the caravan. Of course, a new 4WD means lots more awesome 4×4 accessories, but you can save yourself some serious cash by opting for a camper trailer instead. If you already have a suitable vehicle, then you might still need to purchase essential 4WD accessories, such as a towing system, towing mirror, reversing camera, wind deflector and a weight distribution hitch. In the end, it’s up to your personal preferences, but a caravan is much more comfortable than a camper trailer – for most people! Why not check out our range of affordable 4WD accessories and caravan accessories before you head off this winter? Call Trailer Parts Direct on 1300 210 549 or send us an email.